With French doors balconies a pool jazz club and oyster bar in the heart of the French Quarter our guests get regal treatment at the Royal Sonesta Hotel New Orleans. The seven-story Royal Sonesta Hotel features an extensive art collection by top artists like Andy Warhol and Roy Lichtenstein as well as 483 rooms with balconies overlooking the courtyard pool or French Quarter. 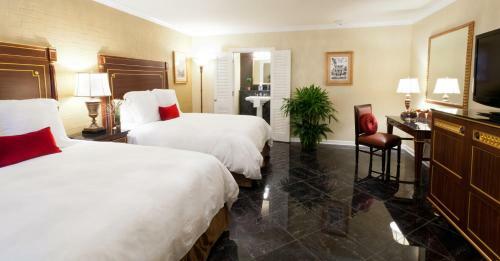 All rooms have plush bedding flat-panel TVs and Wi-Fi (for a fee). Guests can sip on a cocktail from the seasonal bar or enjoy a soothing massage in a cabana (seasonal) in the tropical courtyard. There's also a heated outdoor pool for a refreshing dip and a fitness center for getting in a workout. 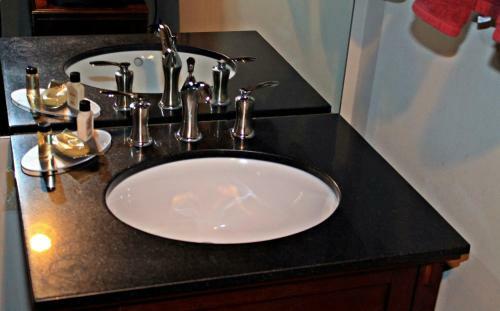 Enjoy breakfast lunch or dinner overlooking Bourbon Street in the casual bistro and oyster bar sip a cup of java in the coffee shop and enjoy some local riffs in the on-site jazz club. The hotel also has a business center and 20000 square feet of event space. 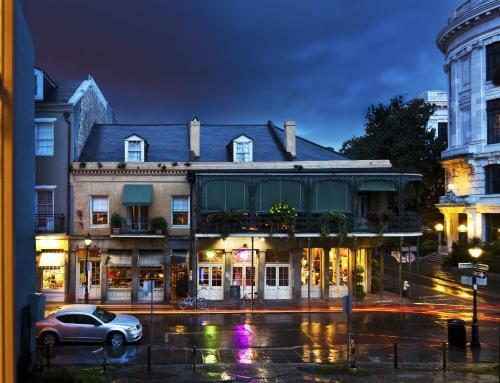 Housing guests alongside the excitement of the French Quarter's Bourbon Street the Royal Sonesta Hotel New Orleans is located within steps of fabulous dining spots cool jazz bars and refined galleries. 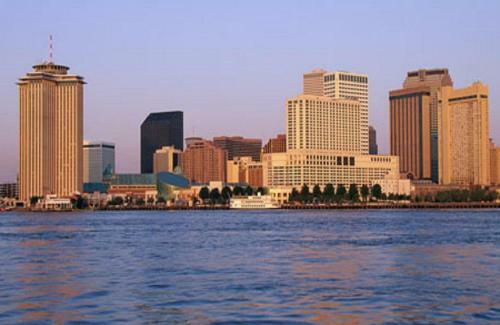 Jackson Square and the waterfront are both a 10-minute walk away valet parking is available for a fee and the Louis Armstrong New Orleans International Airport is within a 13-mile drive.